We take great pride in being the premier provider of professional wedding decorations and event décor supplies in Delaware. Many of Delaware’s most sought after wedding planners, wedding décor companies and wedding decorators rely on Event Décor Direct for high quality, elegant wedding decorations, outstanding customer service and great prices to make their events distinctive and memorable. Event Décor Direct is also pleased to serve a number of other types of customers, including wedding venues, hotels, restaurants, event and expo centers, nightclubs, production companies, and schools as well as various small businesses. Wedding Backdrops – From classic Greek columns to elegant sheer panels, we have the perfect wedding backdrop to make your Delaware wedding unforgettable. Backdrop Lighting - You’ve chosen the perfect wedding backdrop for your Delaware wedding. Now you need backdrop lighting to complete the effect. Our lighting solutions will help you create the perfect setting for your wedding. Choose from basic par cans for a simply elegant, softly lit effect or from our LED par cans and LED bars to add the colors of the rainbow to your wedding backdrop. 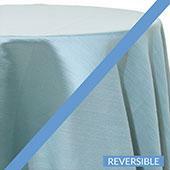 Crystal Décor – Our Crystal décor products are the perfect way to add glimmer and glamour to your Delaware wedding. If a platinum wedding is your dream, you will be thrilled with our selection of acrylic ornamental drops, crystal curtains, delicate crystal beads, and branches. 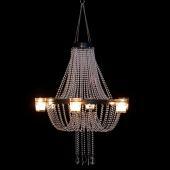 Chandeliers – Customers love our acrylic crystal chandeliers. 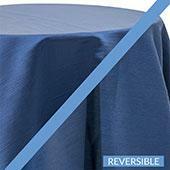 They are perfect for stage shows, window displays, nightclubs, eateries, and, of course, your fabulous Delaware wedding. Crystal Curtains - Event Décor Direct in Delaware is the premier source for stunning crystal curtains. Our wide selection of shapes and sizes ensures that you will find exactly what you need, whether it is a 6 foot curtain, perfect for doorways, or a spectacular crystal curtains of up to 20 feet for your Delaware wedding backdrop. LED Decorations - LED-infused glowing crystal curtains, lighted crystal garlands and trees are among the most popular of our wedding and event decorations. Our LED decorations are priced specifically for event professionals in Delaware. Candles - Candles are an important part of every distinctive wedding and event in Delaware. You will find the most stunning and elegant, satin base brushed-steel or frosted glass candle holders, floating candles, square column candles, pillar candles, and liquid glow lamps and cartridges in Event Décor Direct’s extensive line of candles and candle décor accessories. 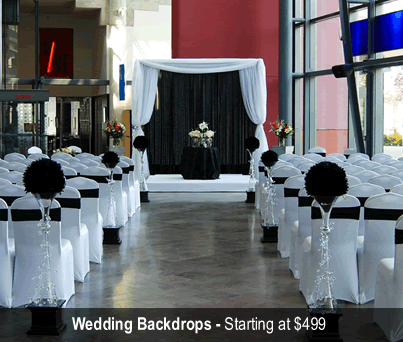 Ceiling Draping - Your guests will be in awe of your stunning and dramatic ceiling draping. 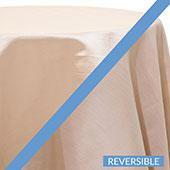 Event Décor Direct's ceiling draping kits are the perfect choice for your Delaware wedding. 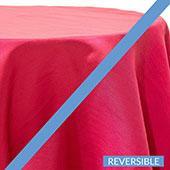 Chair Covers - Event Décor Direct is Delaware’s best supplier of premium chair covers at the best prices. So, whether you are looking for satin, lycra or polyester flex chair covers or chameleon wrap style chair covers, you will find exactly what you need with us. 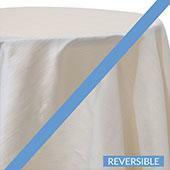 Event Linens & Drapes - We offer a wide selection of event drapes and linens, including our most popular sheer drapes and valances, all at very affordable prices. Pipe and Drape - If you are shopping for pipe and drape in Delaware, you will find our complete kits are the highest quality available. Our pipe kits contain everything you need for a beautiful wall of drape for your Delaware wedding, trade show, school event or meeting.